Football is in the air! The teams have battled their way to the final game of the season. And now it’s time to get the party started! It’s time to let all your friends and family know you’re hosting a “Home Bowl”! And I am going to help make sure your “Home Bowl” is a success. 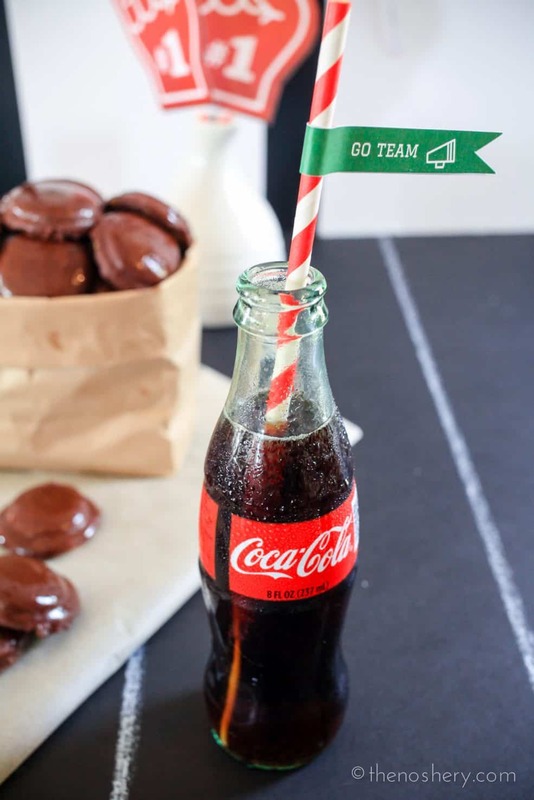 This year I’ve partnered with Coca-Cola and NABISCO to help you throw the ultimate “Home Bowl” party! We got it all my friends! 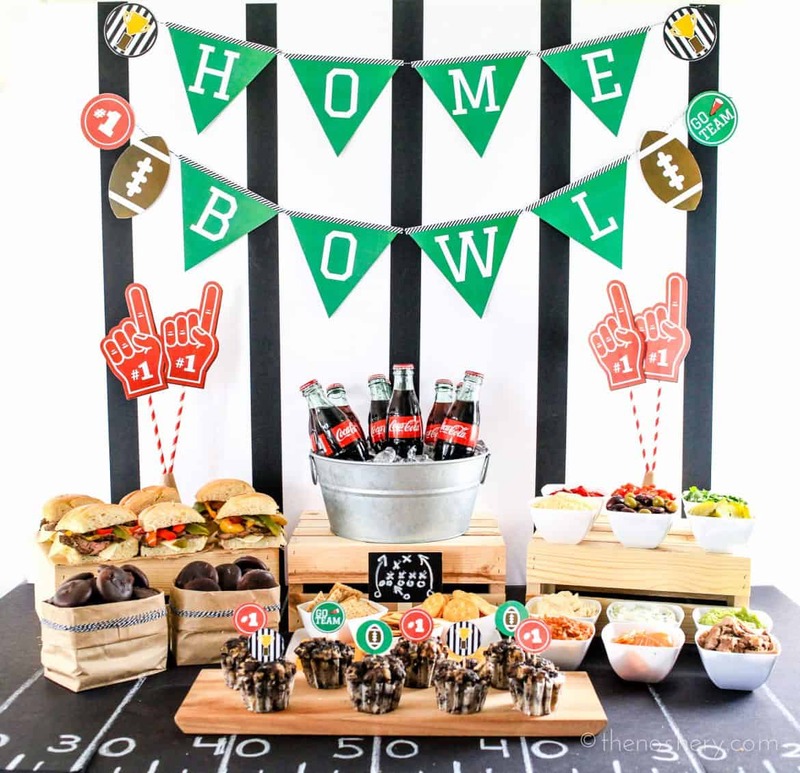 Sweet and savory foods, hosting tips, decoration ideas and the chance to win a Coca-Cola and NABISCO “Home Bowl” Prize Pack valued at $400! Today I am going to share with you some entertaining tips and decorating ideas to make your “Home Bowl” festive and fabulous. A successful “Home Bowl” always has a great spread and within that spread you can almost always find a tray of cheese and crackers. But, how about we take the cracker platter game up a notch. First let’s start with the crackers. I like to provide my guests with a selection of crackers. For this spread, I am using RITZ Crackers, TRISCUIT Crackers, and WHEAT THINS Snacks. I like to offer a variety of crackers to cater to a variety of tastes. Instead of putting out a tray of simple cheese squares provide a selection of toppings. Think as if you were serving your guest mini meals. For example, a margarita pizza is made up of mozzarella, basil and tomato and a Mexican meal may have chicken tinga, guacamole, and sour cream. 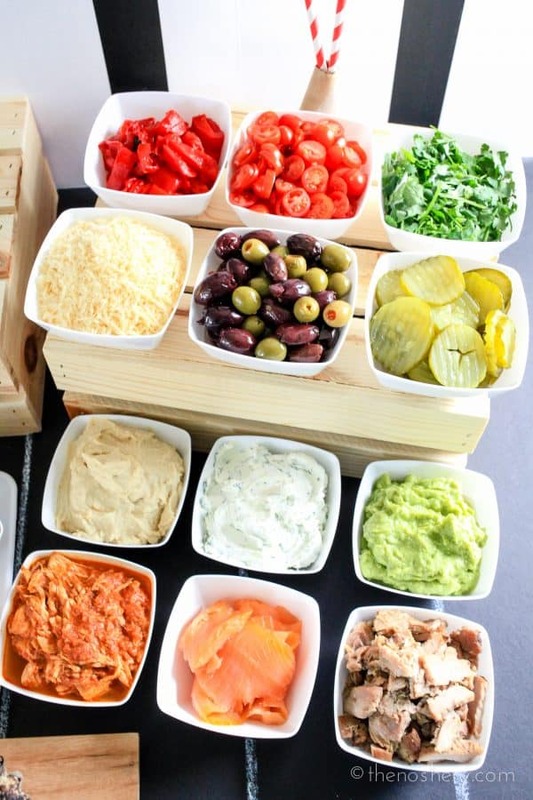 All of these items can be offered as toppings, and your guests can build them as they chose. I top my crackers with swiss cheese, mustard, pork carnitas and a pickle slice. I love these! And there you have another selection of toppings. 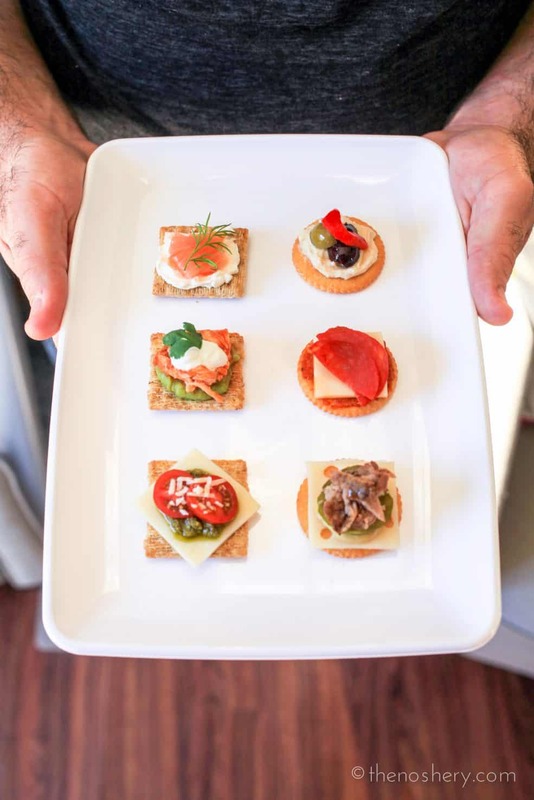 Your guest can choose to build their own mini meals or simply take a cracker for a dip. Just enjoy with an ice-cold Coca-Cola! But, no spread is complete without proper decorations. 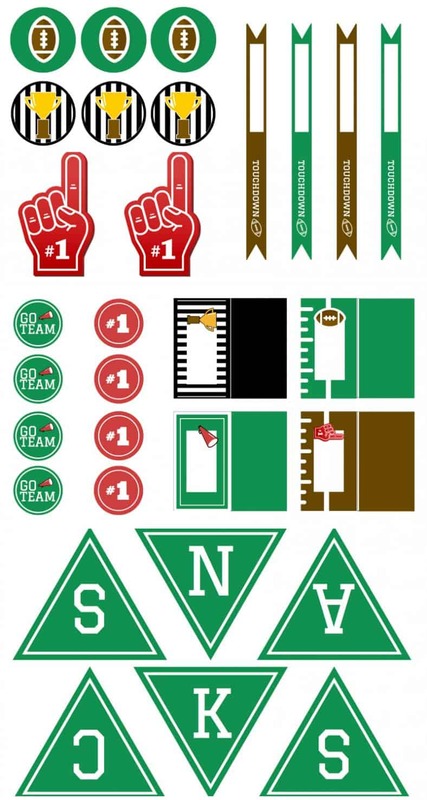 I have an entire list of “Home Bowl” party supplies and some decorations that you can download today! Don’t believe me? Click on the image below and download the decorations. I got everything for you! Banners, cupcake toppers, food labels, straw flags and even fan fingers! Everything you need to get your “Home Bowl” looking good! All you need is some scissors, tape, toothpicks and string. I even put together a list of supplies! If you want to create a football themed surface all you need is a large black foam board and a white solid paint marker. But this ultimate NABISCO cracker and toppings bar can’t sit all alone. 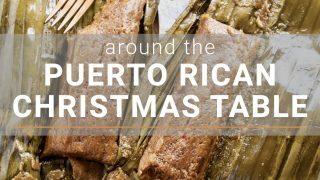 Over the last two weeks, I have been sharing recipes for you to serve at your Home Bowl. I have everything you need to feed all your guests. Those with salty and sweet tooths alike. 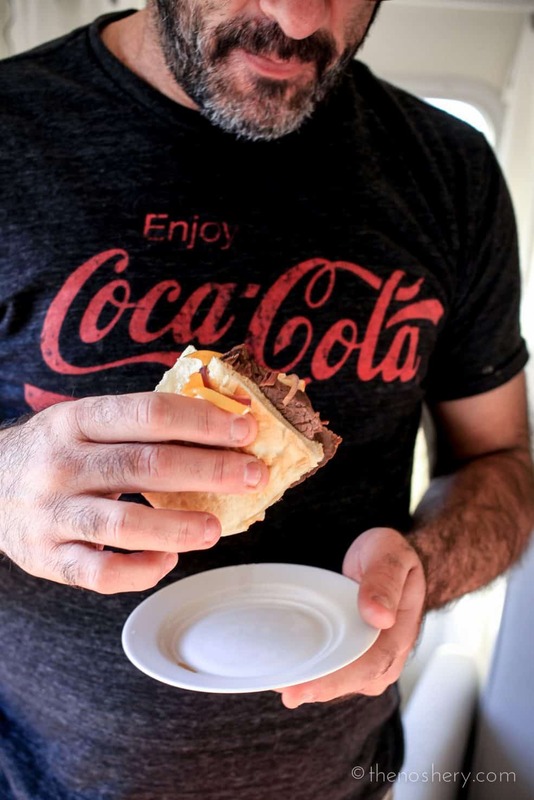 First up are the savory and tender Slow Cooker Coca-Cola Beef and Pepper Sandwiches. These sandwiches are easy to make and a guaranteed crowd pleaser, especially with the fellas. After such a hearty savory sandwich it’s good to have a little something sweet. How about these dangerously poppable treats? 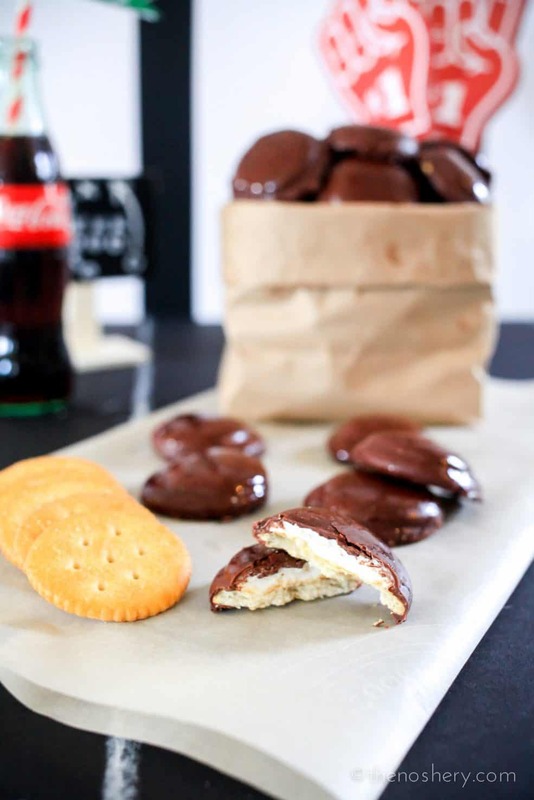 Easy RITZ Mallomars, gooey marshmallow fluff topped on a buttery RITZ Cracker and then covered in chocolate. I need to say no more! Last but not least is Coca-Cola Bacon Candy! Bacon candy people! Need I say more? You can serve it in strips or cut into pieces. They can also make a great addition to the ultimate NABISCO crack spread. How excited are you to host your own “Home Bowl”? Food, friends and football! How can you not be excited?! 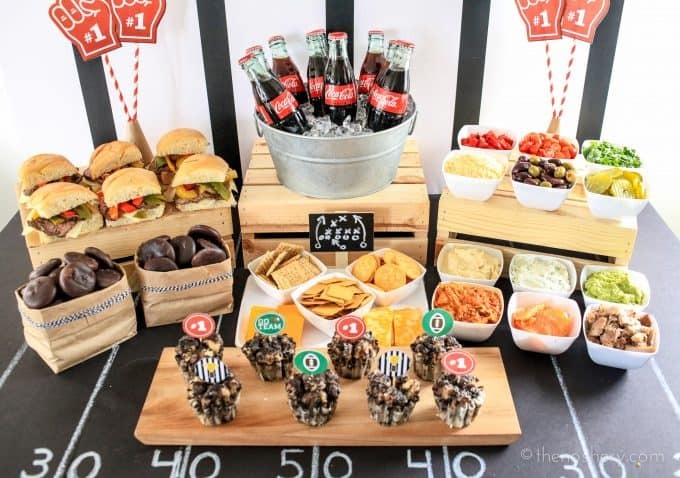 Coca-Cola, NABISCO and I have everything you need to score big with your guest on game day! But wait! There is more! 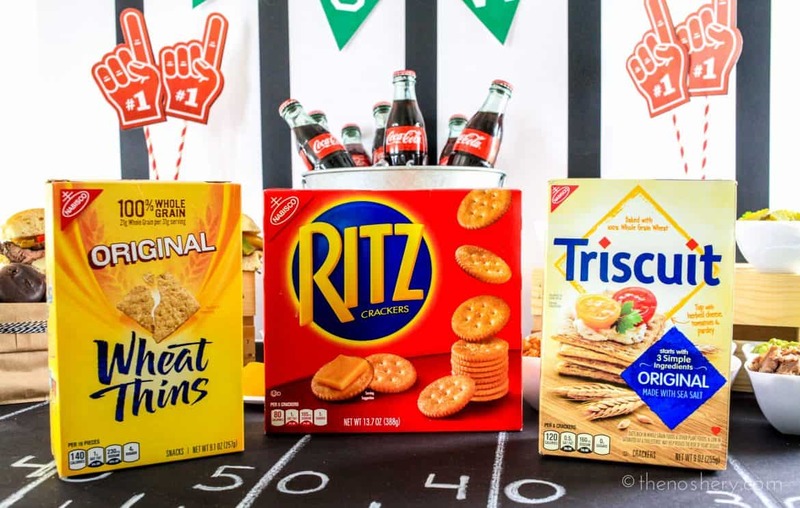 Enter for a chance to win a $400 value Coca-Cola and NABISCO Home Bowl Prize Pack! Two winners will win one of two $400 value Coca-Cola & NABISCO “Home Bowl” prize packs! 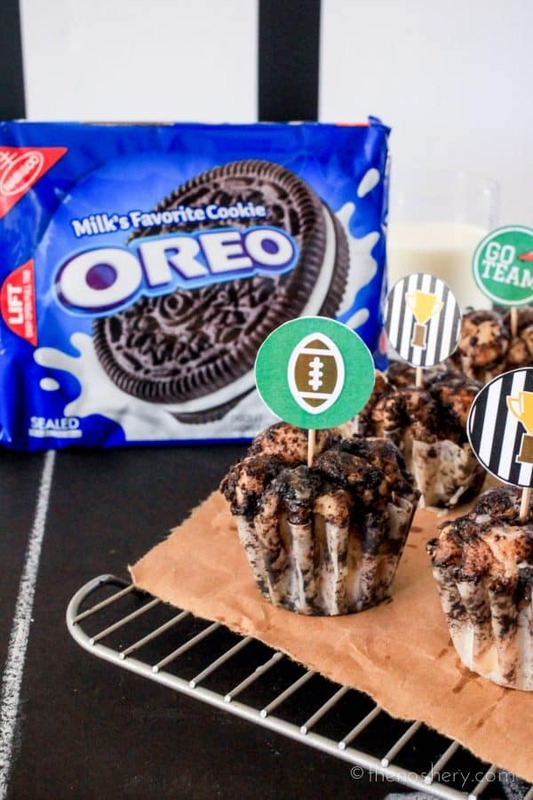 Create a Pinterest board and name it “Coca-Cola & NABISCO #HomeBowlHeroContest” Pin favorite game day tips and tricks to your board. Leave a link to your “Coca-Cola & NABISCO #HomeBowlHeroContest” board in the entry form below. 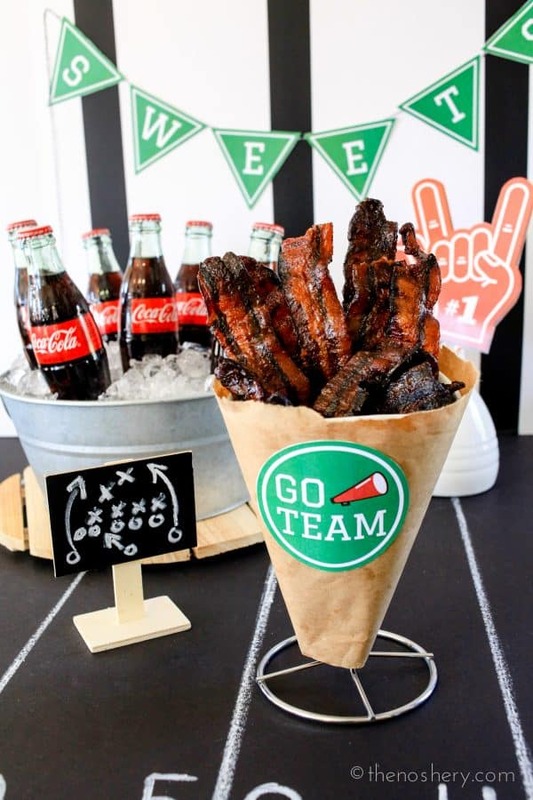 I will choose the best and most creative “Coca-Cola & NABISCO #HomeBowlHeroContest” Pinterest board. Winners will be chosen and contacted on or before February 1, 2016. Winners will have 24 hours to respond. If winner does not respond an alternate winner will be chosen. This prize was provided by The Coca-Cola Company and Mondelez Global LLC. 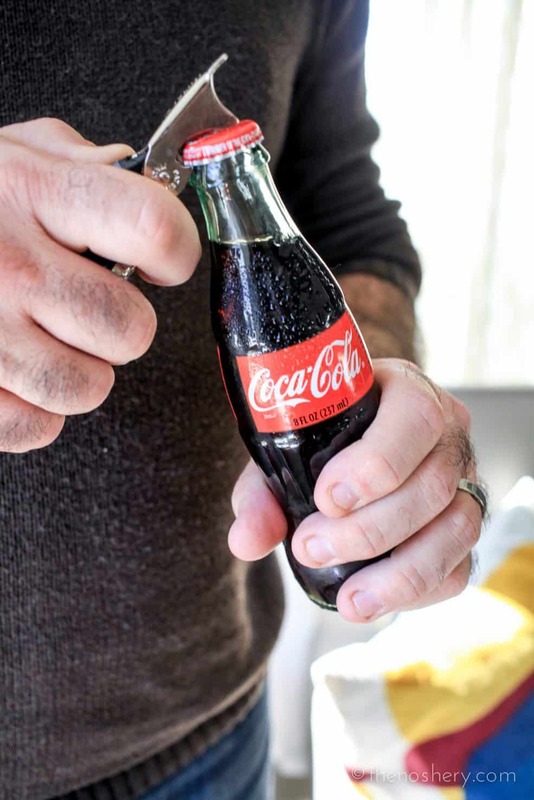 The Coca-Cola Company and Mondelez Global LLC are not a sponsor, administrator or connected in any other way with this promotion. Entrants are not required to promote The Noshery or Coca-Cola or NABISCO brands for a chance to win, and, if they do, entrants need to use the #HomeBowlHeroContest hashtag or otherwise disclose that they are posting those photos as part of a Contest entry.